Filter Press Cloth for water treatment plants. Available for Tecnoidea, Fraccoli Balzan, Tesimag, Winkelmann, Saba, Matec, Omega, Diemme etc. Available with us is an extensive range of filter press cloth that is fabricated using woven and non-woven filtered media. Available in various sizes and dimensions, our filter press cloth is widely demanded by our customers belonging to diverse industries such as food & beverages, pharmaceuticals, chemicals and leather. We are engaged in offering Filter Press. These are fabricated from high quality of raw material and featured with advance technology. Ensures reliability and durability easy to operate. 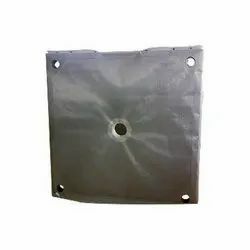 We are engaged in offering a wide range of filter press cloths that are manufactured from high quality fabrics and as per the requirements of the clients. These filter press cloths are used in various industries like pharmaceutical, chemical and food & beverages industry. Available in various sizes and patterns, we offer these press cloths at market leading prices. Features: Non Toxic, Odorless Harmless. Owing to our in-depth knowledge in this domain, we are specialized in providing Filter Press Cloth. We are a leading manufacturing firm in the field of Air Conditioning Filter Fabric. 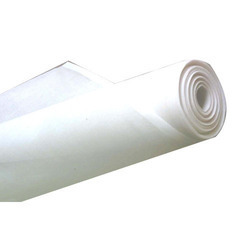 Due to our proficiency, we are engaged in offering to our patrons Filter Press Cloth.